Read more about AMMA on the following blogs…. Deborah is a wonderful photographer, who kindly offered her time to take the photos you see on this website. She shares some thoughts alongside her beautiful images on her journal. A look at the issues that AMMA aims to solve. 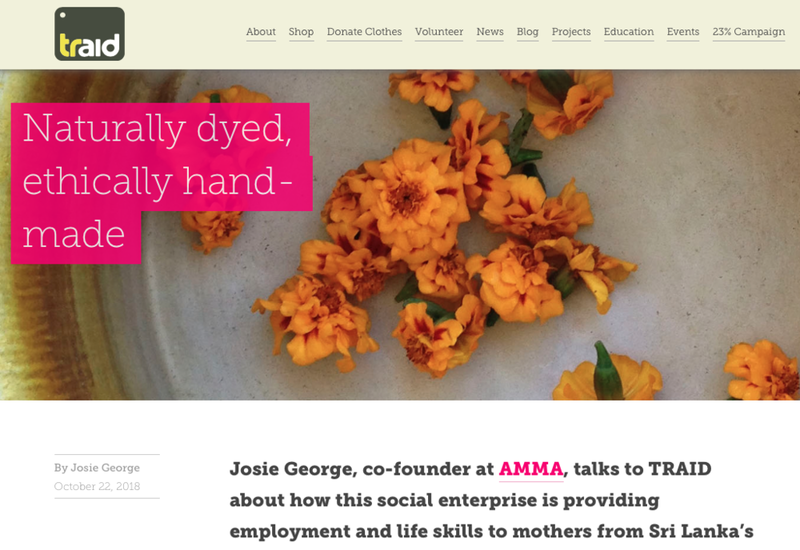 AMMA founder Josie writes a blog post for AMMA funding partner TRAID. 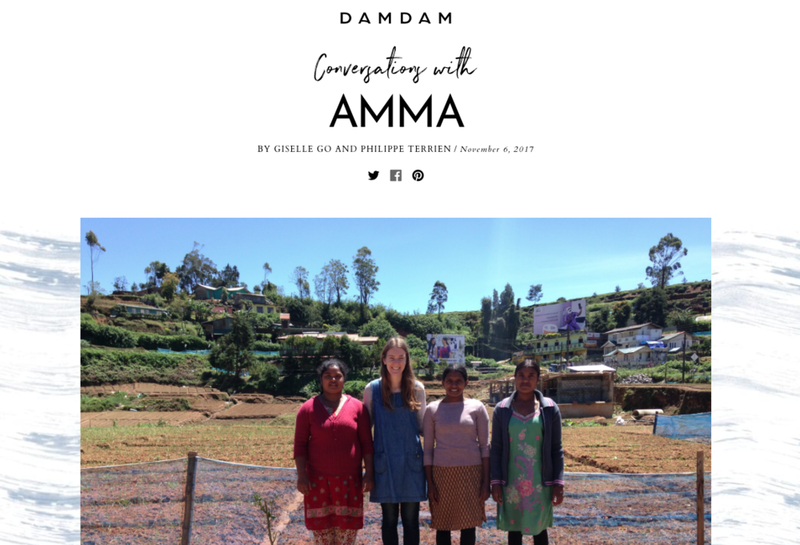 She writes about how and why she set up AMMA and some of the difficulties facing women living in the Sri Lankan highlands. AMMA founder Josie is interviewed by The Circle member Dushy Rabinath. Josie talks about paying a living wage and the key mission of AMMA. 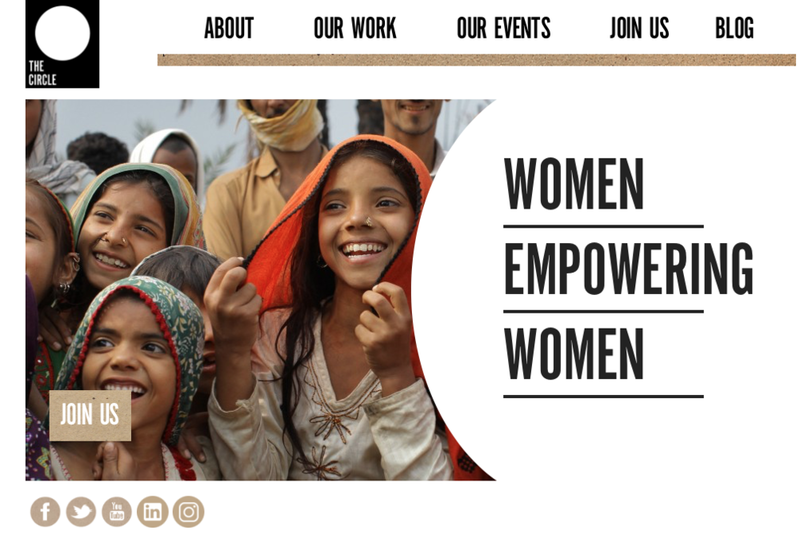 Sascha Pare writes about her experience spending a few weeks working along side the mothers at the AMMA workshop. 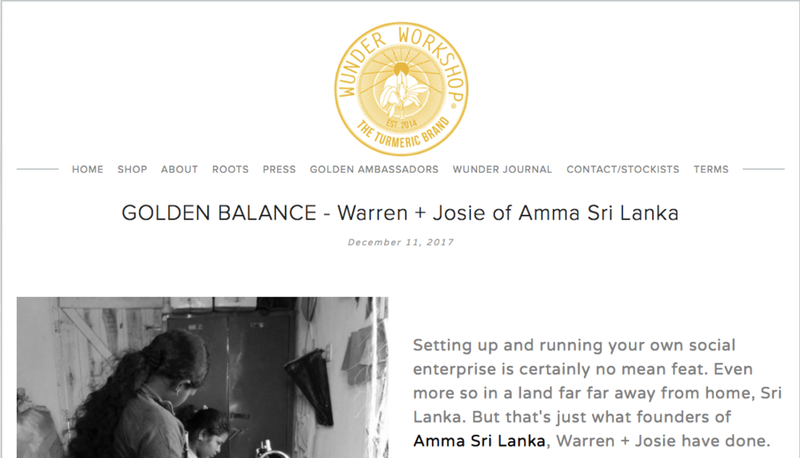 Wunder Workshop are a London based functional food brand making organic turmeric based products, using Sri Lankan grown turmeric. Warren & Josie spoke about their lifestyle and purpose living in the Sri Lankan highlands running AMMA. DAMDAM are a Tokyo based cosmetics company that focus on developing organic & 100% natural skincare. 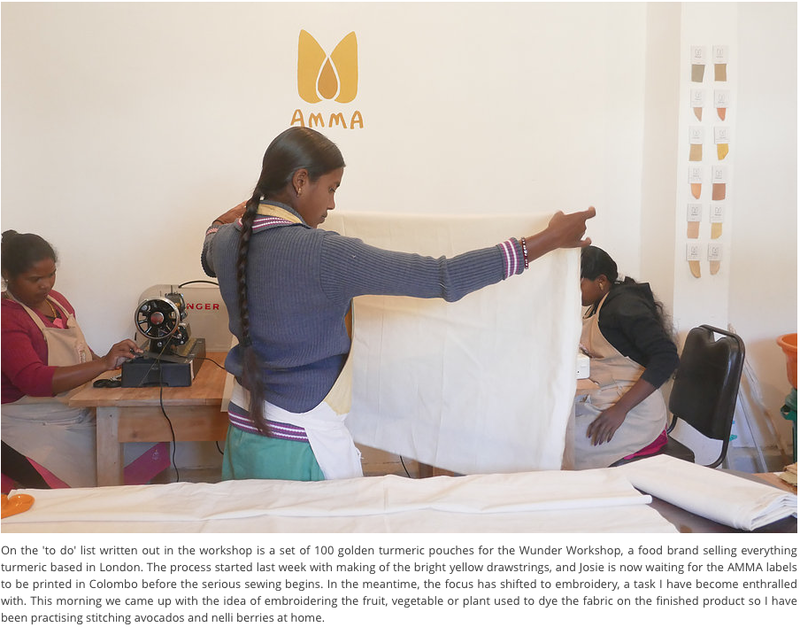 AMMA collaborated with DAMDAM on a naturally dyed bag & pouch line for their press launch. 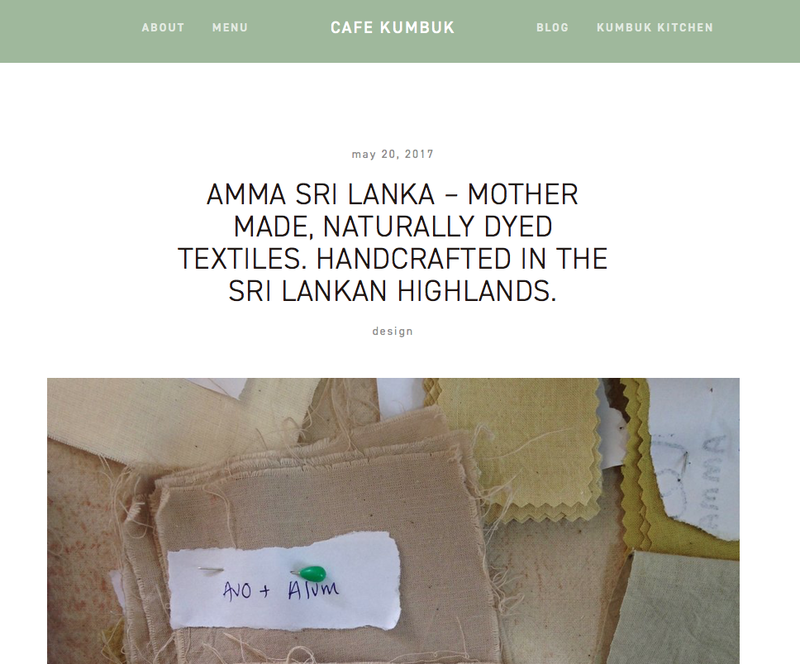 In the following blog they talk to AMMA founder Josie about the process of natural dyeing and starting a social enterprise. Molly is based in the UK and works in charity communications whilst studying for her MA. She interviewed founder Josie about everything AMMA. Is our wonderful donator of avocado stones, what stars! They wrote this great blog about what we do with them and the process of extracting the dye.